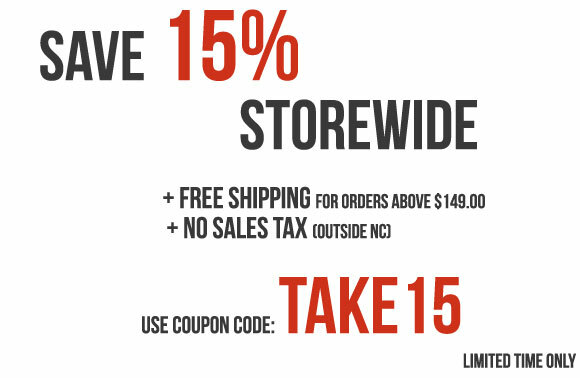 You might purchase our Bollilatte as a great Milkpot but it will become so much more for you! Ask anyone at either Navarini Italy or Navarini USA which item they use the most in the kitchen and the answer will most likely be the "Bollilatte". The shape and size of our Bollilatte add so much functionality to this pot that it most likely will also not leave your stove at all. Whether we heat our milk in the morning, boil water for a tea, heat stock for risotto, melt butter for pasta dishes, infuse oil with herbs, heat soup or sauces, heat apple cider or boil chai - our "Bollilatte" is our choice for the task. The reason for this is mainly because this is not your regular small milk pot. With two available sizes as well as the fact that our high quality 100% tin-lining prevents liquids such as milk from scalding, our Bollilatte is simply convenient for many tasks in the kitchen. 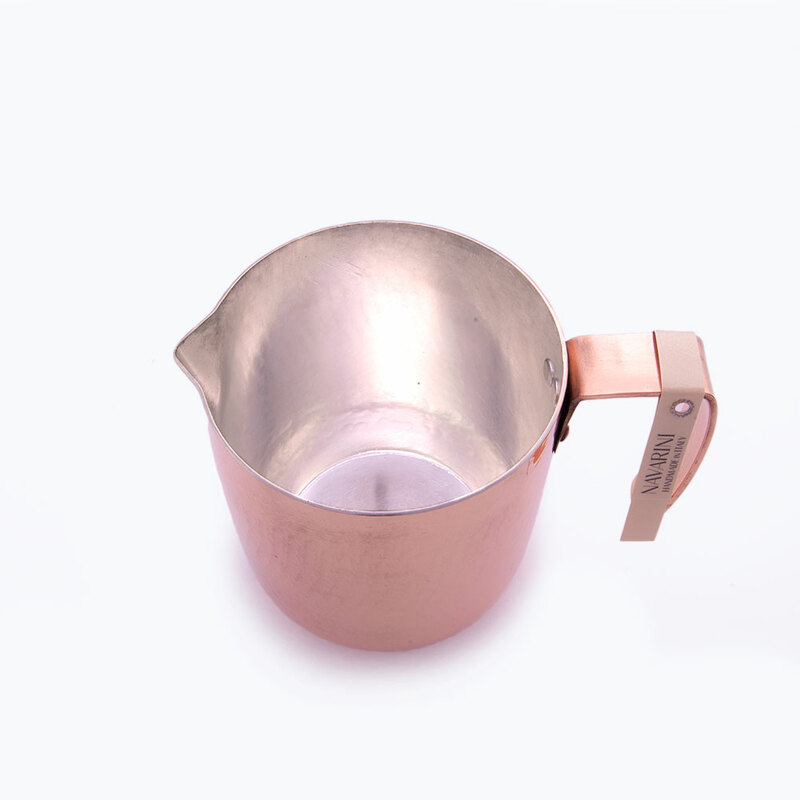 Since our copper Bollilatte is safe up to 450� Fahrenheit (230� Celsius), the pot can even be used in the oven. We crafted 2 different sizes for our Bollilatte: Our �Bollilatte Piccolo� with 0.8qt, and our �Bollilatte Grande� with 1.7qt. capacity. The body of the Piccolo and Grande differ slightly in regards to the transition of the pot to the base and this has a reason. While both are perfect for all types of tasks, our Bollilatte Grande is ideal for larger quantities and the particular shape of our Bollilatte Piccolo makes this size also ideal for use as a milk steamer for your cappuccino machine. 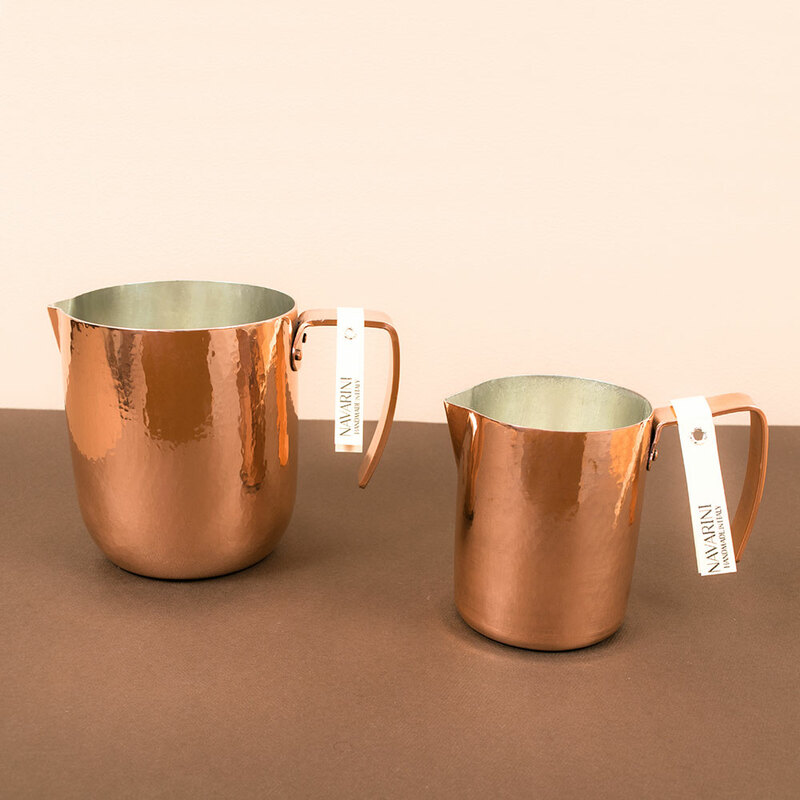 As all of our products, our copper milk pot is hand-crafted in the Navarini workshop in northern Italy. 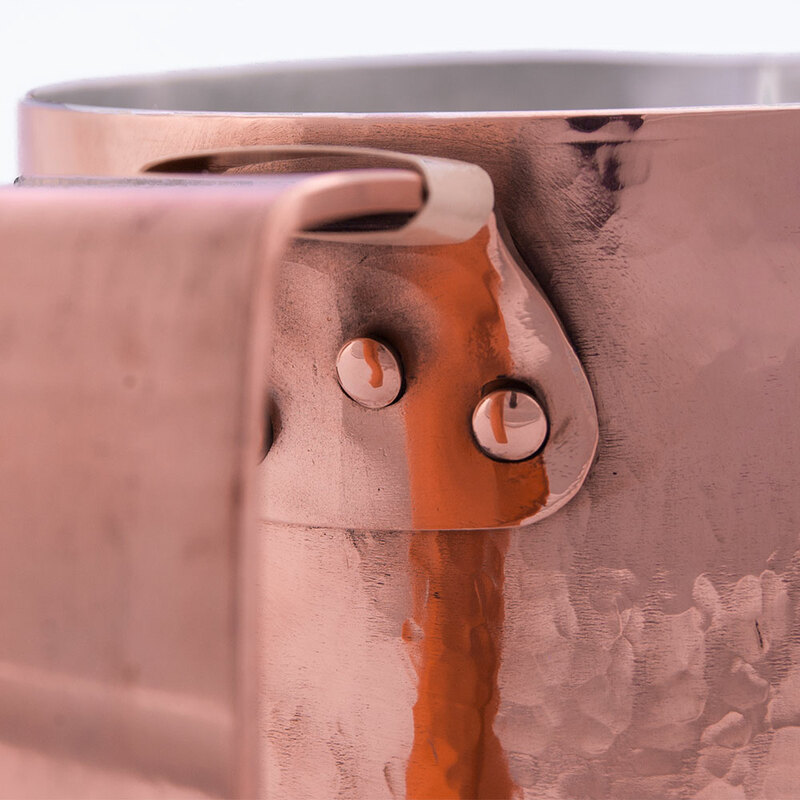 Our bollilatte is constructed from one single sheet of copper ensuring absolute even heat distribution from the base to the sides of the bowl. 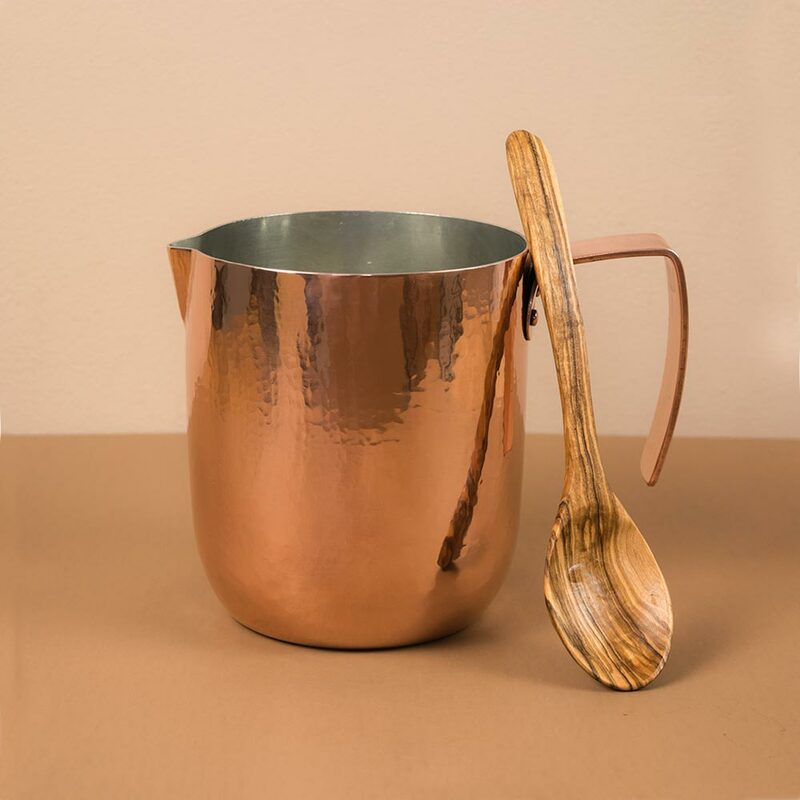 Our copper milk pot is entirely hand-hammered. 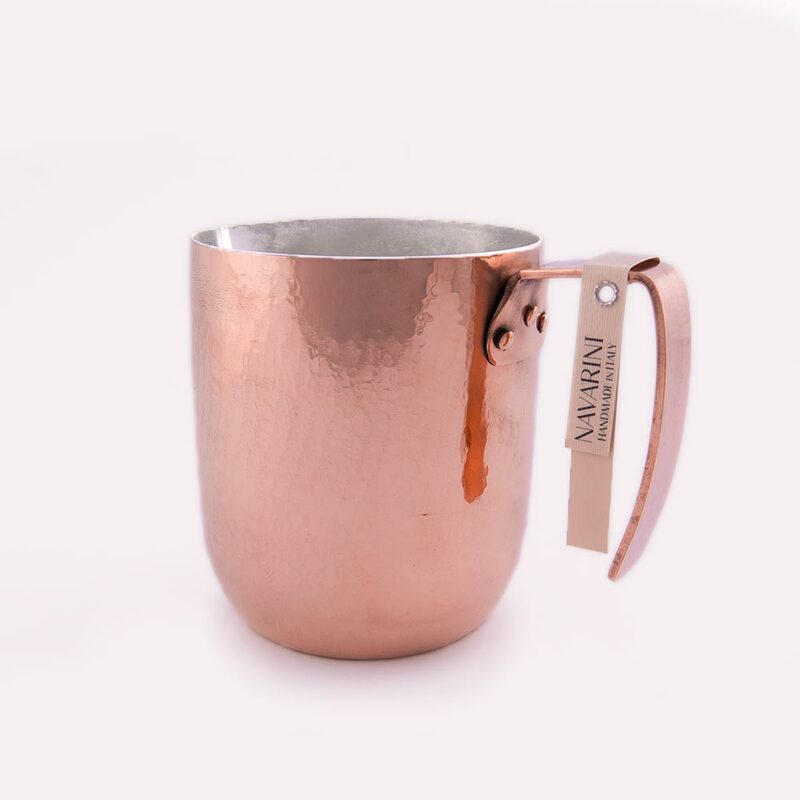 Hand-hammered copper adds strength and enhances the structure & durability of the material. In addition, hand-hammered characterizes true artisanship. 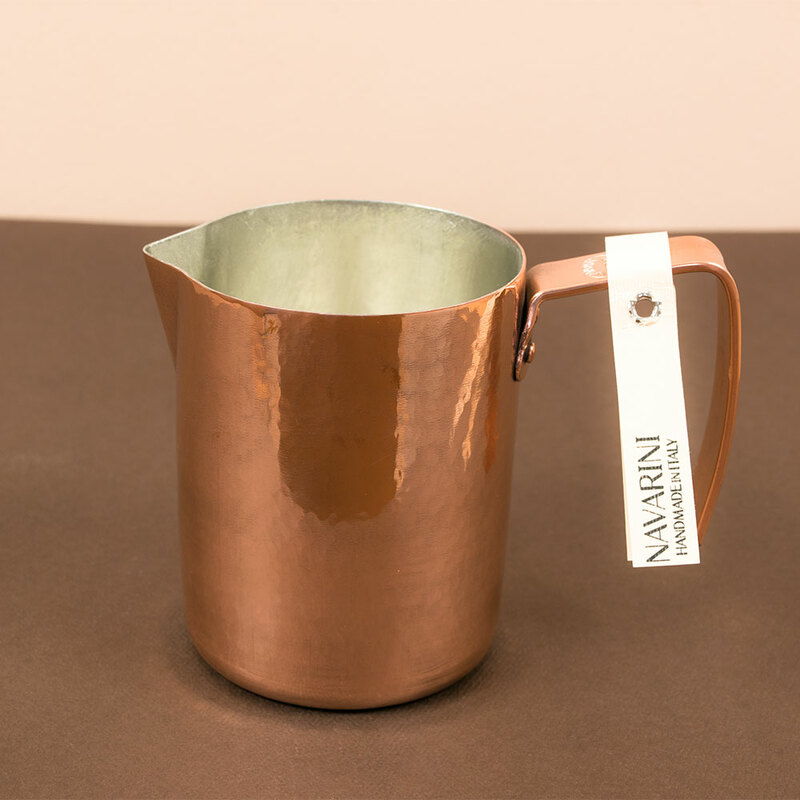 As most of our larger copper products, our copper milk pot will arrive packed in a beautiful blue "Bottega Navarini"� cloth bag. 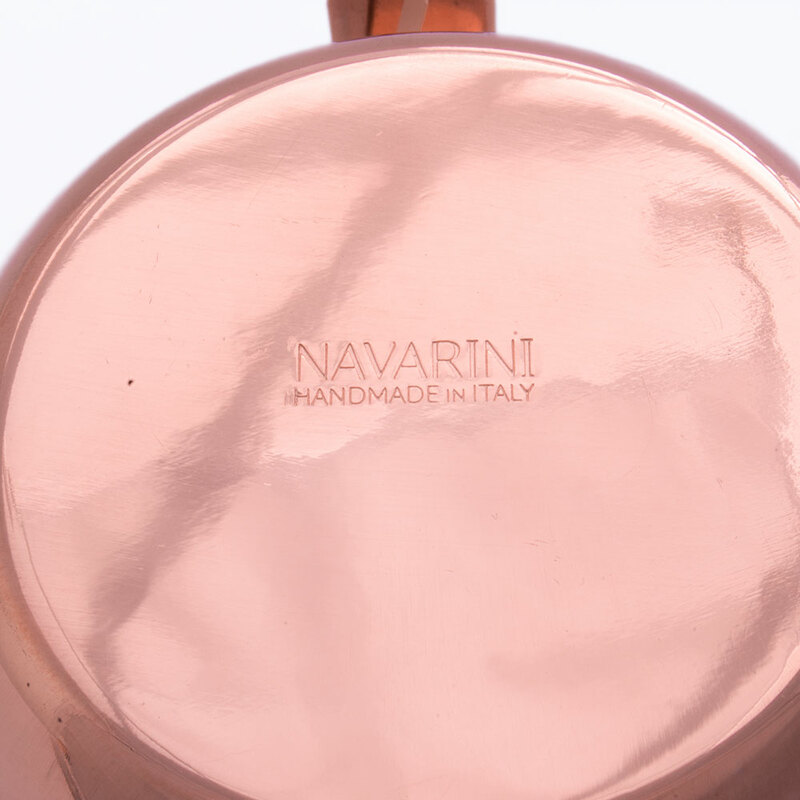 Not only a fitting bag for our beautiful copper products but already treasured by our customers as a sign of an original Navarini.